An elegant pair of 19th century, French crystal, champagne flutes. These flutes are made from a very good, heavy, quality crystal and they date from c.1870. 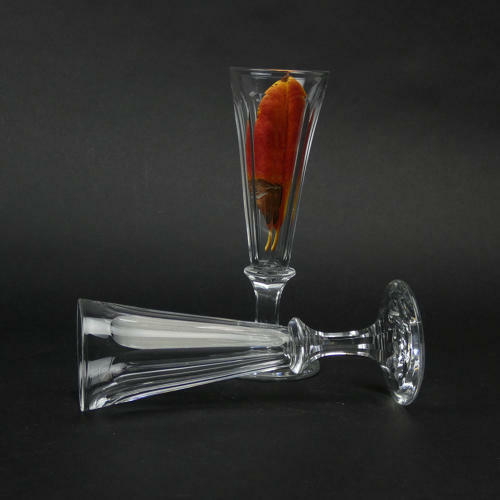 Each one has a long, elliptical cut to the bowl of the glass and the stems are facetted. They are in excellent condition.